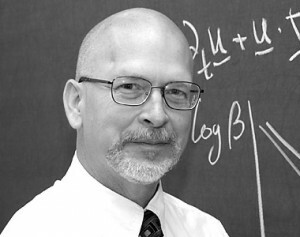 Charles Doering is the Nicholas D. Kazarinoff Collegiate Professor of Complex Systems, Mathematics and Physics and the Director of the Center for the Study of Complex Systems. He is a Fellow of the American Physical Society, and a Fellow of the Society of Industrial and Applied Mathematics (SIAM). He uses stochastic, dynamical systems arising in biology, chemistry and physics models, as well as systems of nonlinear partial differential equations to extract reliable, rigorous and useful predictions. His research spans rigorous estimation, numerical simulations and abstract functional and probabilistic analysis.